I love a smart woman who's not afraid to demonstrate that she has brains. I also love women who defy the expectations of those around them. Women who refuse to dim their own light, to act smaller than they are, or ignore what they need and want. 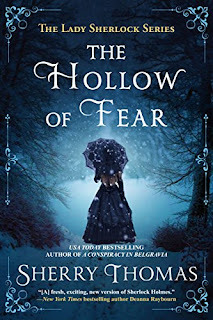 So it's not a surprise that I adore Charlotte Holmes from Sherry Thomas's Lady Sherlock series. There are many iterations of the Sherlock Holmes story. (Two of my favourites are Benedict Cumberbatch's Sherlock and Jonny Lee Miller's Elementary.) 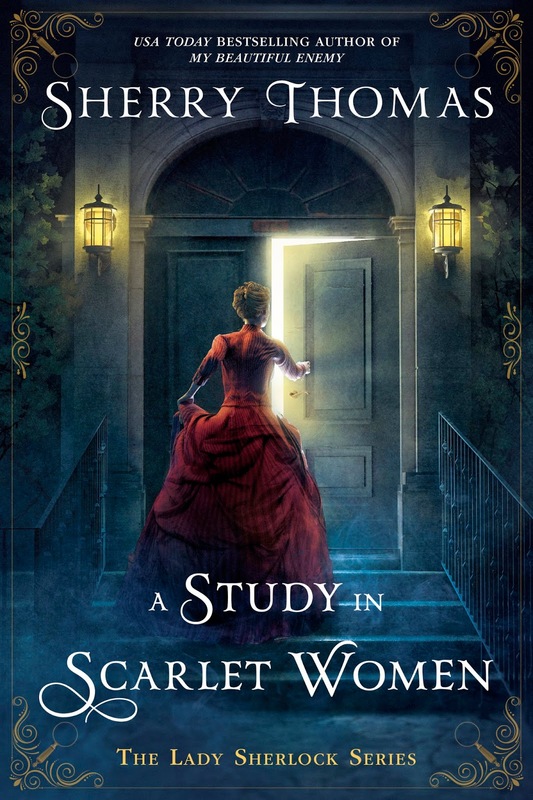 But I've become a fan of Sherry Thomas's novels ever since I heard her speak at RWA Nationals in San Diego and when I heard she was writing a variation on Sherlock Holmes with a female protagonist, I pre-ordered A Study In Scarlet Women as soon as it was available. Once I started reading, the story grabbed me right from the beginning. Charlotte Holmes is the daughter of a family struggling to maintain their position in society. Her family insists on Charlotte contracting an advantageous marriage but Charlotte has no interest in trading her father's control for a husband's. She would prefer to make her own way in the world, supporting her sisters. Her father has refused to give her the education and training she would need to achieve her dream of becoming the headmistress of a private girls' school, so Charlotte comes up with a daring plan to make her permanently ineligible for marriage. She arranges for herself to be deflowered but the plan goes awry when the act is witnessed by a larger audience than she'd initially intended. Charlotte quickly finds herself involved in a larger mystery, one which needs her unique ability of deduction to unravel. She acquires an ally, the widowed Mrs. Watson, a former actress. 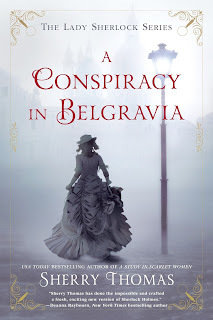 Hiding behind the guise of a masculine pseudonym, Charlotte takes on a clever murderer and the expectations for a fallen woman in Victorian society. 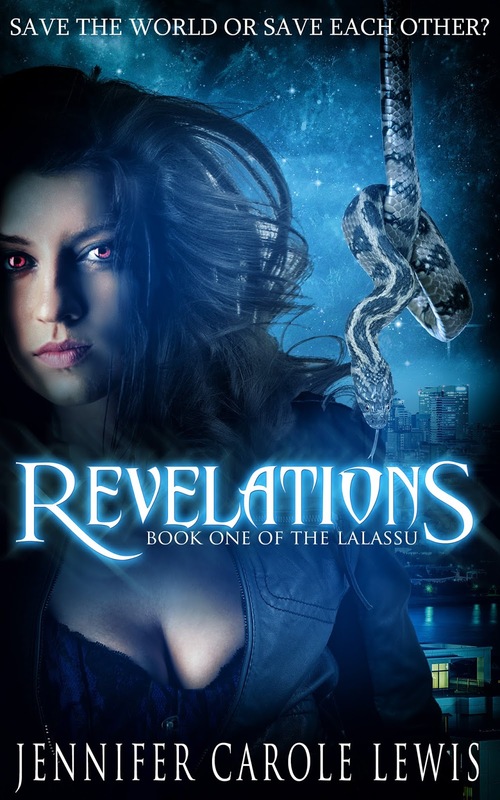 The story is fast-paced and engaging but it was the characters that drew me in. Charlotte's worldview is fascinating. As she wryly observes, most people can never escape how they were taught to live. She is the rare individual who sees how arbitrary our social expectations can be. That often, the things which restrict us most are no more binding than threads, kept intact by a group reluctance to challenge them. By the understanding of her society, a fallen woman should be hopeless. But Charlotte not only survives, she thrives and finds happiness in her new life because she refuses to accept the dictates of other people's expectations. 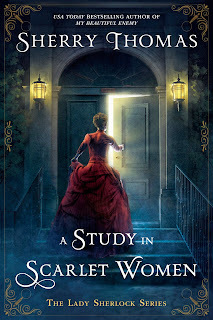 I also adored Charlotte's awkward sister, Livia, who struggles to find the courage to follow her own dreams; the defiant and compassionate Mrs. Watson, who has always lived on the outskirts of expectations; and Charlotte's other sister, Bernadine, who I suspect is severely autistic in an age before such labels were known. But it's Charlotte who keeps me reading. I could sympathize with her frustration at trying to pursue her dreams, only to find herself blocked at every turn. She's planned a perfectly logical course of action for herself, one that suits her temperament and ambitions and would allow her to be reasonably happy and productive. But those around her are far more interested in forcing her to fit into what they want than in listening to what she wants. But the part which truly inspires me is that in losing everything that she thought she wanted, she found a life that was better than the one she'd dreamed for herself. Because even with her tremendous insight, her plans for herself were still limited by what she'd been taught to expect. To me, that is the essence of the hope inherent in every romance novel: that sometimes life can give you something even more wonderful than you would have wished for. Considering that real life can often deliver situations which are worse than we could have imagined, it's comforting to believe the opposite is also true. That we can defy the expectations that oppress us, we can find a lasting love with a partner who respects and treasures us, and we can achieve all of our ambitions, including the ones we haven't quite admitted to ourselves yet. If you'd like to read my stories of heroines who find more than they ever hoped for, you can pick up my first novel for 99 cents US (or equivalent) on all platforms. 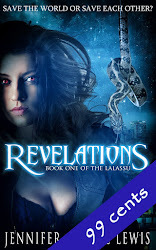 Enjoy fast-paced paranormal romantic suspense about a secret society of superheroes living among us. Or you can check out some of the other features on my blog, like last month's Heroine Fix which looked at the intriguing and untamed Catwoman or my most recent post about how impostor syndrome convinces us to keep silent. 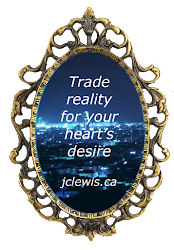 Or you can find other amazing romance authors with my monthly Hidden Diamond feature. This month, my secret gem is Freya Barker and her extraordinary tales of ordinary people. Next month I'll be examining the heroines who inspired my first novel, Tess and Ally from the 2010 movie, Burlesque. Tess, played by Cher, runs the burlesque club that has been her dream but is proving to be financially risky. Ally, played by Christina Aguilera, has left her small town to come to LA to pursue her dreams of becoming a singer. The story about how they find their happy endings is one that has stuck with me since I first saw it. Join me on March 14th for my next Heroine Fix.